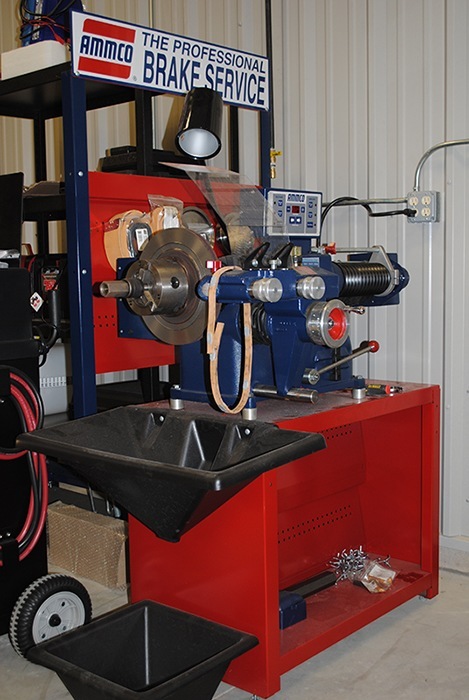 All equipment is managed by trained ASE and Michigan certified mechanics. Click on a photo to enlarge. The "Hofmann Alignment Machine", an industry leader, uses the latest 3D camera technology to increase the accuracy of alignments while reducing the time needed to make the alignment. Customers are provided a comprehensive alignment analysis. 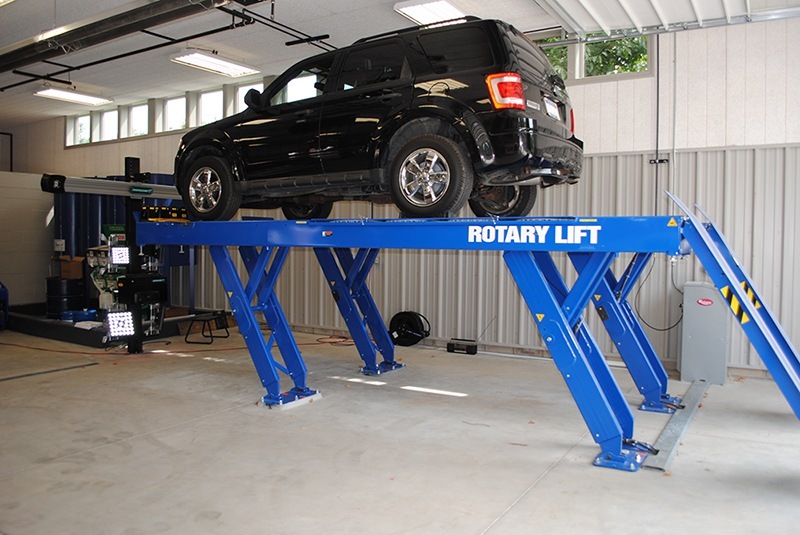 Rotary Y lift, is a postless alignment rack that provides access to the vehicle, with a 12,000 pound lifting capacity. 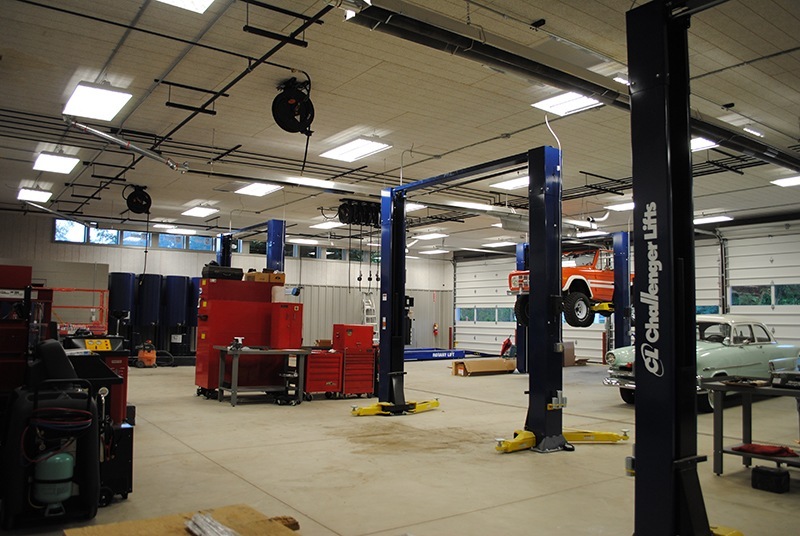 Our Challenger lifts provide safe, fast, damage free lifting of customers vehicles. 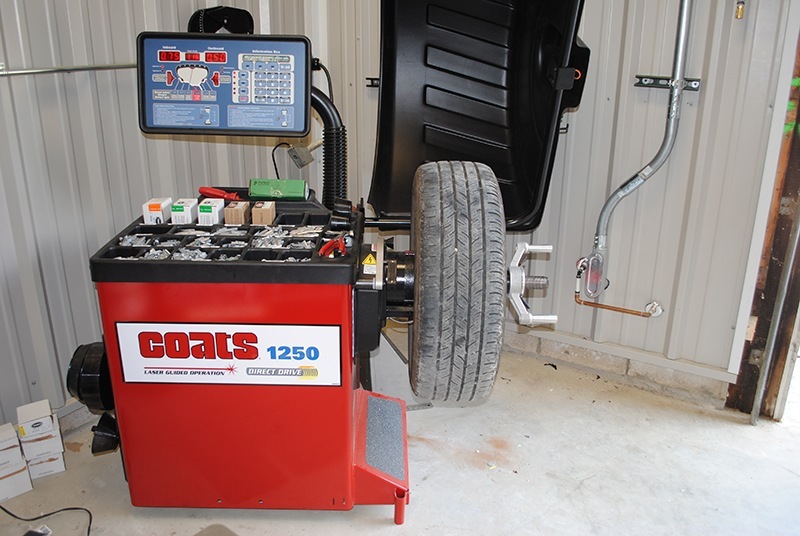 21st century tool for 21st century cars. Handles up to a 28" wheels and a leverless bead remover which significantly reduces the chance/possibility of damage to wheels.